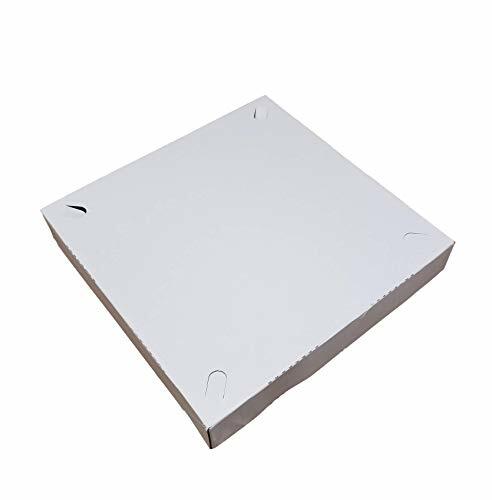 Top quality plain pizza box with locking corners for stability and durability. Brown Kraft color. Available in many different sizes. 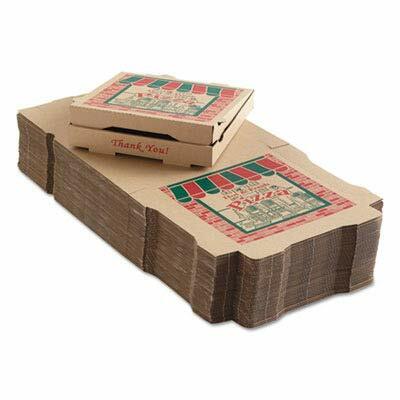 5" x 5" Mini Pizza Boxes are made of smooth, corrugated cardboard that's white, inside and out. When folded, these boxes are incredibly sturdy. Perfect for mini pizzas, party favors, wedding favor boxes, jewelry gift boxes, cookie boxes, or other flat-pack product packing needs. Easy to decorate with stickers, markers, or labels. Includes eight food-safe boxes. Shipped flat for easier storage, they are easily assembled by folding on scored lines. When assembled, outside box dimensions are 5-1/4" x 5-1/4" x 1-1/8" and inside box dimensions are 5-1/4" x 5" x 1". Made in the USA. Another quality product from the trusted "Chica and Jo" brand! 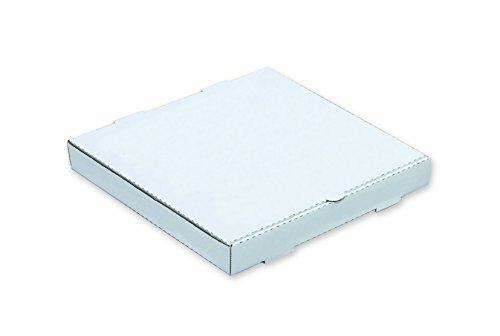 Top quality plain white pizza box with locking corners for stability and durability. White color. Available in many different sizes. The pizza boxes are quite crush resistant, add little weight, and they are easy to put together and don't unravel before you get them closed. Once closed, they stay closed until you want them opened. Perfect size for S'mores, package sugar cookies etc.perfect to use for themed party favors or other all kinds of parties,needed this box for pastries to distribute to individual people. Not only for pizza, many other baked goods find their way into these cartons. 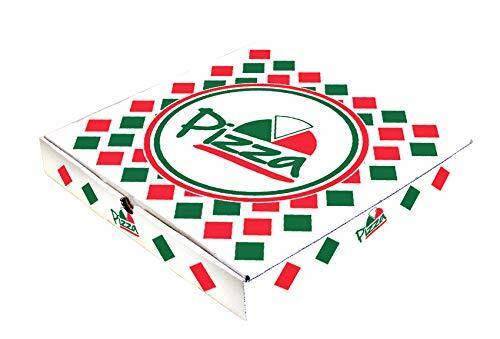 Pizza boxes can be used as storage boxes for small objects,such as ornaments or stockings etc., saving space. You can paint on the boxes as DIY gifts for kids, or as for DIY materials for kids to make. Perfect for TMNT! 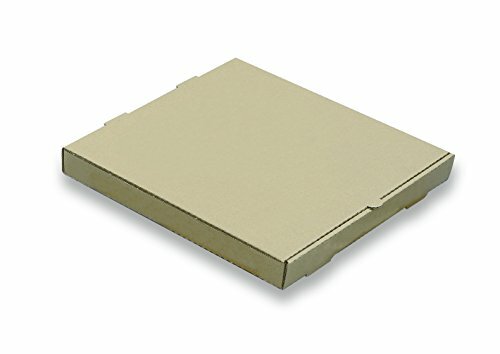 The nice white, plain outside of the box is ideal for your own graphics. You can use the box for a build your own personal pizza bar. Also good for a really big cookie 'pizza'.We have placed a stack of white paper doilies came along with the pizza box. 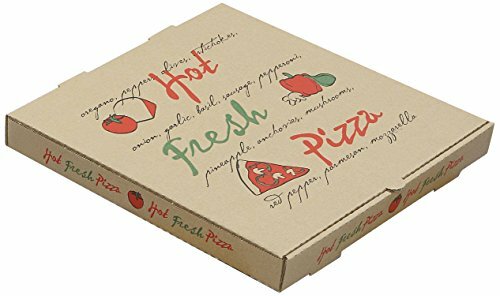 5" x 5" Mini Pizza Boxes are made of smooth, corrugated cardboard that's kraft colored, inside and out. When folded, these boxes are incredibly sturdy. Perfect for mini pizzas, party favors, wedding favor boxes, jewelry gift boxes, cookie boxes, or other flat-pack product packing needs. Easy to decorate with stickers, markers, or labels. Includes eight food-safe boxes. Shipped flat for easier storage, they are easily assembled by folding on scored lines. When assembled, outside box dimensions are 5-1/4" x 5-1/4" x 1-1/8" and inside box dimensions are 5-1/4" x 5" x 1". Made in the USA. Another quality product from the trusted "Chica and Jo" brand! 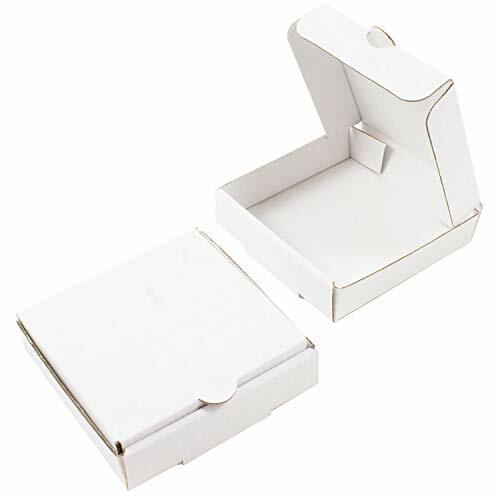 4" x 4" Mini Pizza Boxes are made of smooth, corrugated cardboard that's white, inside and out. When folded, these boxes are incredibly sturdy. 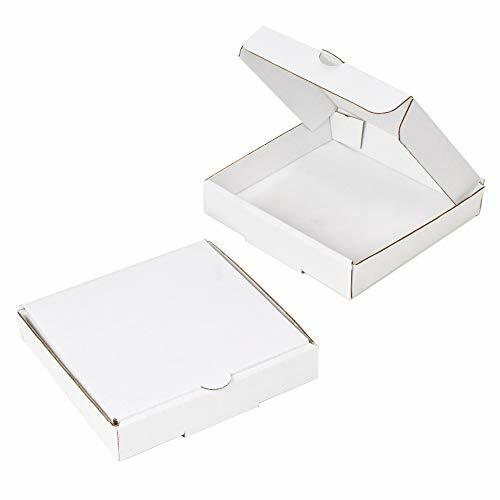 Perfect for mini pizzas, party favors, wedding favor boxes, jewelry gift boxes, cookie boxes, or other flat-pack product packing needs. Easy to decorate with stickers, markers, or labels. Includes eight food-safe boxes. Shipped flat for easier storage, they are easily assembled by folding on scored lines. When assembled, outside box dimensions are 4-1/4" x 4-1/4" x 1-1/8" and inside box dimensions are 4-1/4" x 4" x 1". Made in the USA. Another quality product from the trusted "Chica and Jo" brand. 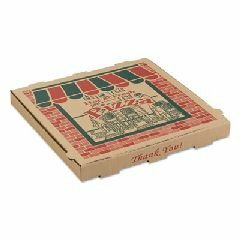 These 10" Length x 10" Width x 1.50" Shallow Depth Clay Coated Pizza Box by MT Products (15 Pieces) are the perfect take out container for your pizza store or parlor. Or they can be used at home for home made pizza night. Can be used for personal pizza pies, crepes, shallow cheesecakes, cookies and many other food items. 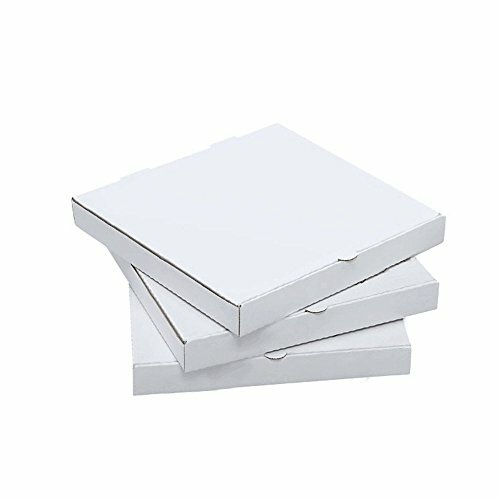 HIGH QUALITY MATERIAL The pizza boxes are quite crush resistant, with a heavy, resistance corrugate. ASSEMBLY Easy to assemble, once closed, they remain closed until you want to open them. 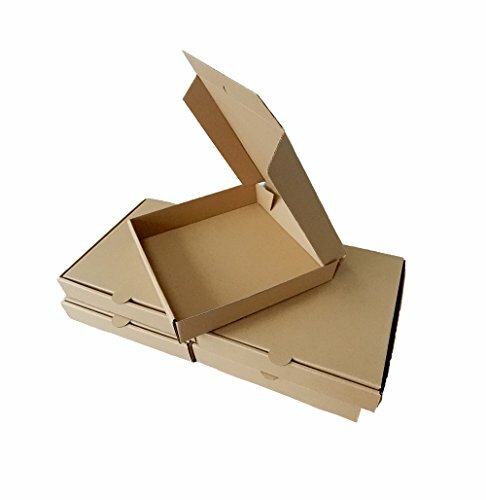 VERSATILITY Topenca pizza boxes come in 3 different sizes and you can use them as storage space or any other project that requires it. MONEY SAVER These pizza boxes come in a convenient 100 pack so that you have plenty forcooking. SIZE Square Shape, 9-13/16 x 9-13/16 Inches. 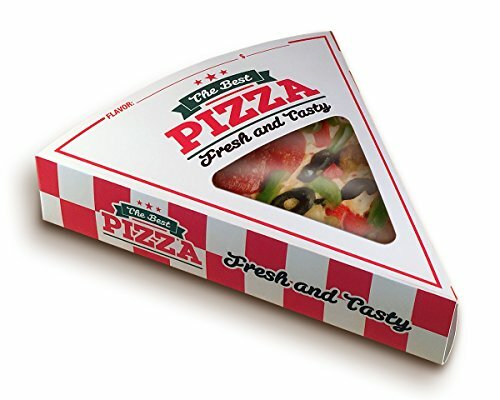 Pizza slice box with clear film window for easy identification of toppings - 250 boxes per case. The dimensions are 10 X 9 X 1.875 . Works very well for 16" - 18" pizza's cut into 8 slices.